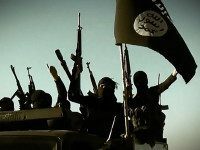 The Islamic State (ISIS/ISIL/IS) wing in South Asia is intensifying its presence in Pakistan, particularly in areas along the country’s border with war-ravaged Afghanistan, the Pakistan Institute for Peace Studies (PIPS) think tank cautions in a new report. 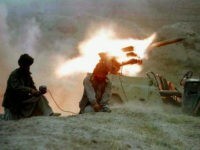 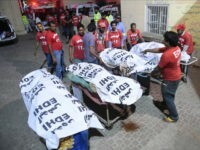 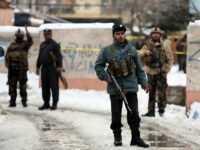 The Islamic State (ISIS/ISIL) is strengthening its presence in Afghanistan, spreading its tentacles into seven provinces where it carried out 237 attacks in just the first half of this year, nearly doubling the assaults attributable to the terrorist group during the same period in 2016, reports the United Nations. 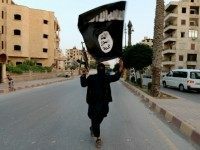 The Islamic State (ISIS/ISIL) wing in Afghanistan has allegedly released a grim video purportedly showing two indoctrinated boys, commonly known as “cubs of the caliphate,” shooting prisoners in the head execution-style. 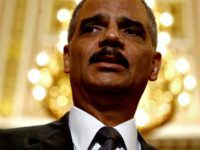 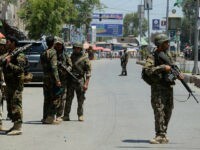 The Taliban has alleged that it was behind a recent attack carried out by a member of the United States taxpayer-funded Afghan National Defense and Security Force (ANDSF) against American troops in eastern Afghanistan’s Nangarhar province, killing three U.S. soldiers and wounding one another. 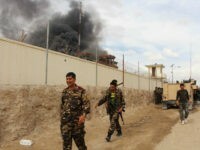 The Islamic State (ISIS/ISIL) branch in Afghanistan has taken responsibility for an attack on a government-controlled television station in the jihadist group’s stronghold of Nangarhar province that left at least six people and an estimated 14 others wounded. 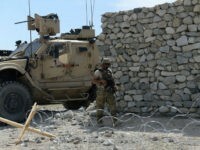 The U.S. military killed Abul Hasib, the top leader of Afghanistan’s Islamic State branch, in an airstrike targeting the jihadist group in its main stronghold in the region, located in the eastern part of the war-devastated country along the Pakistan border, officials from both countries have conceded. 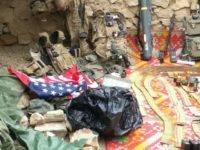 The Islamic State (ISIS/ISIL) alleges that it captured the opium-rich Chaprahr district in eastern Afghanistan’s Nangarhar province from the Taliban, following clashes between the two groups that left dozens dead, including a nine-year-old girl. 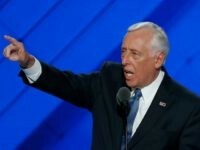 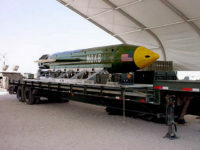 Dropping the “mother of all bombs” on Islamic State (ISIS/ISIL) jihadists in Afghanistan was “necessary to break” the terrorist group, declared U.S. Secretary of Defense James Mattis. 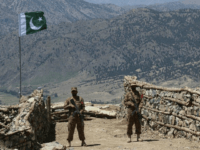 The most powerful non-nuclear bomb dropped by the U.S. military on an Islamic State (ISIS/ISIL) stronghold along the Pakistan border in eastern Afghanistan killed at least 36 jihadists, according to Afghan officials. 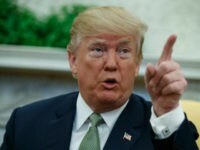 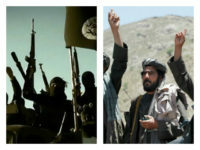 The massive U.S. military strike on a network of tunnels along the Afghanistan-Pakistan border used by the local Islamic State (ISIS/ISIL) branch may have plugged the hole that allowed the flow of jihadi reinforcements from Pakistan into Afghanistan. 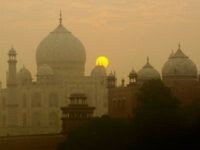 An Islamic State (ISIS/ISIL)-affiliated group, Ahwaal Ummat Media Center, has disseminated a graphic on the Internet threatening attacks in India and identifying the Taj Mahal as a potential target, reports the SITE Intelligence Group, which monitors jihadi websites. 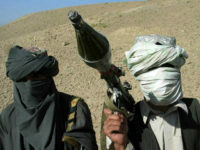 The Afghan Taliban and the Islamic State branch in the region do not consider each other rivals, the national security adviser (NSA) to the president of Afghanistan told the Times of India (TOI), echoing other assessments of the relationship between the two Sunni jihadist groups. 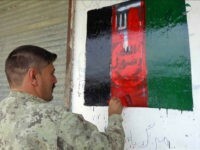 Afghan National Defense and Security Forces (ANDSF) have dramatically reduced the number of Islamic State (ISIS/ISIL) jihadists in Afghanistan by nearly 80 percent, from a peak of nearly 3,000 to about 700 now, according to the American military. 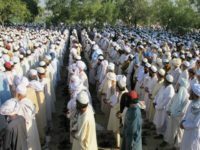 Report: Afghan Taliban Claims ‘Sole Purpose’ of Russian Ties Is to Expel U.S. 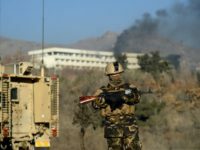 The top commander of U.S. and NATO troops in Afghanistan along with Afghan officials have expressed concerns about Russian support to Taliban terrorists fighting American-backed troops. 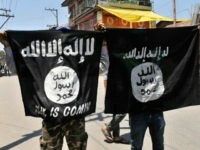 The U.S. Embassy in the Indian capital of New Delhi issued a security message this week, urging Americans to “maintain a high level of vigilance” following media reports highlighting the Islamic State’s “desire to attack targets in India,” namely places that are visited regularly by Westerners. 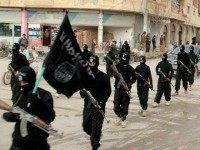 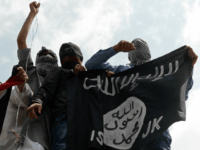 The Islamic State (ISIS/ISIL) branch in the Afghanistan-Pakistan region, known as the Khorasan province (IS-K/ISIL-KP), is making an effort to establish “their caliphate” on Afghan soil, according to the top commander of U.S. and NATO forces in the country.